A 3m high Heron set among reeds, its a steel construction using scrap parts such as pipe bends, ball bearings for eyes, a curved vehicle brake shoe for the breast bone and ridged steel reinforcing rods for the legs. All welded and galvanized. 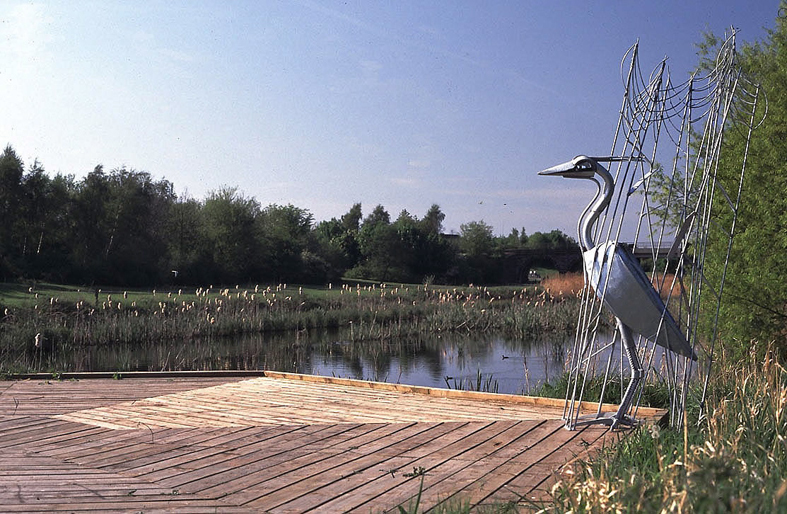 The sculpture is sited on a viewing platform which allows public access to observe the wetland wildlife habitat established in an improved section of the old St Helens Canal.